Itawamba County Dev Council (ICDC) > FIRST Foundation > Why Support Us? Romona Edge-MSU Extension Service receives a check for Safety Day. Karen Burns and Rita Taylor with Houston RCDC receives a check for the Houston Community Ball Fields. 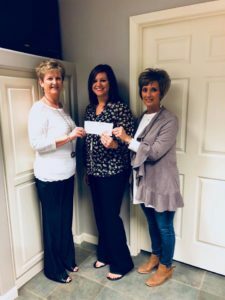 Itawamba County School District receives a check for the Clothes Closet. Carson Cook with Dorsey Attendance Center receives a check for the PBIS Program. The Food Pantry in Fulton received a check to assist with needs for the holiday season. 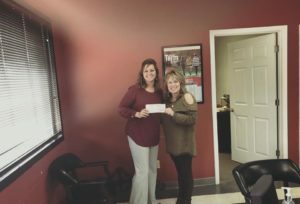 Elizabeth received a check for the Itawamba Learning Center in downtown Fulton for a special Reading Program for the summer. 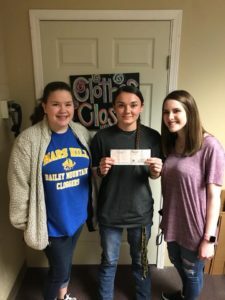 Archery Teams in Itawamba County and Scholars Bowl team at IAHS received a total of $3,000 between the four different teams.